Choose the house that you prefer and that will suit your needs . All apartments are furnished and equipped with the same comforts. All houses are only 160 meters from the sea . You will live in a peaceful Sicilian village, front of a wonderful sea. We can accommodate up to 27 people. If you are a large group please contact me. It’s the ideal solution for couples or groups of four. Ideal for groups of friends or families ( max 8 people). Ideal for five persons, also with childs. Apartment with internal garden view. 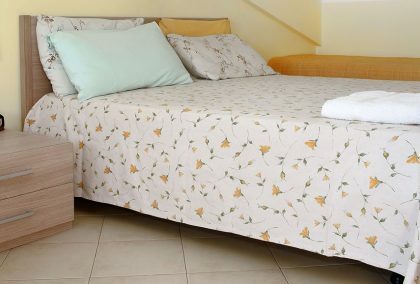 If required, for all the apartments there is the possibility of having additional beds. All apartments are equipped with an air conditioner. 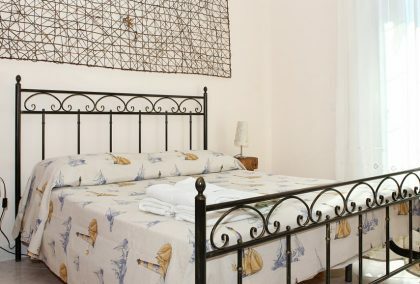 There are three apartments (40 square meters each), on the second floor of the villa. Although they are separate apartments, they can also be used as a large single apartment for a large group. 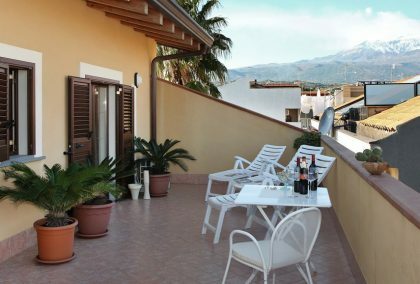 One of the three apartments faces Mount Etna, one faces the sea, and the third overlooks a garden of lemon trees and Mediterranean plants. 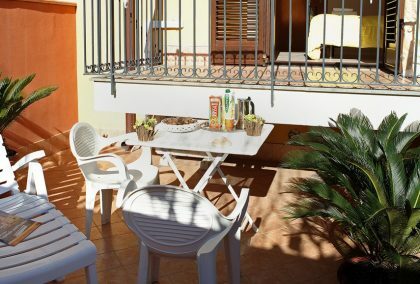 All apartments have a bedroom with a double bed, terrace, (with table and chairs), kitchen, bathroom with shower, as well as washing machine access. All the apartments have a garage or a parking space. Final cleaning is included in the price. In addition, I can provide rental car assistance, as well as the possibility of transfer to/from the port, train station or airport. © 2019 Copyright by Adriana Casa Vacanze - All rights reserved.